Looking for reputable Packing Service in Miami Beach, Florida? Then a packing service Miami Beach company like Mint Movers will get the job completed. As experienced Miami Beach packing service, we've got the experience and personnel to manage any move - large or small. Relax knowing your valuable belongings will be handled with the utmost care. As a fully insured packing service, you will enjoy flat rates and a damage-free guarantee. The search is over for superior yet budget-friendly packing services in Miami Beach, FL. We provide affordable packages so you can safely move without having to burn a hole in your pocket. We have been around for years, and we have mastered the art of moving and packing at a swift yet secure manner. Relocating can be exhausting and nerve-racking especially when you lack the organizational skills and the proper equipment to aid in packing and moving. Professional packers and movers like us help you avoid experiencing any of these difficulties. Moving to a new home can be quite challenging and stressful. The truth is that majority of our competitors are still learning how to provide efficient home packing services in Miami Beach. Our people are trained in using only the latest equipment and gear. We are a moving service that provides complete logistics for this activity. Those who are moving to a new home are set to take on a difficult endeavor. Our expertise and skills ensure that the move is safe and done according to existing laws and guidelines in the city. Avoid all the stress and worry by hiring our moving and packing services in Miami Beach, FL. When packing on your own, you will need to buy packing materials and containers, rent a large vehicle to make multiple trips back and forth, and load then unload all the items by yourself without any special mechanism to make it easier. We are not kidding when we say relocating to a new apartment, office, or business area on your own is highly stressful, exhausting and more expensive. 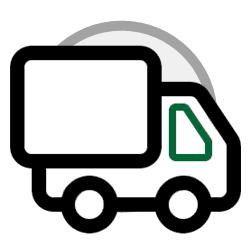 With Mint Movers you can trust that your items will be delivered in its best condition for an affordable fee. All you will be left to do is look forward to your new life in your new place, sitting back while we do all the hard work. Our expert local movers and packers in Miami Beach are extensively trained for specialized techniques for our house packing services to guarantee that all of your belongings are secured. Another service feature that sets us apart is our expertise. Here at Mint Movers, we value the items entrusted to us as if they are our own. You can be sure that our team will treat your belongings with utmost care. Be wary of some moving companies who may pose as professionals when they clearly lack experience and skills. Our primary goal is to keep you, our valued customer, happy and satisfied with our exceptional moving and packing services. How Much Money do You Save when Hiring Our Moving Services in Miami Beach, FL? Our packing and unpacking services in Miami Beach, FL ensure that you get your items safe and in one piece to its planned destination. We offer free estimates for your moving requirements so you know what to expect. We have the right machinery to haul your items into your new home. We will gather all packing materials and gear to begin the entire packing process. Consider the fact that other moving services only give their customers estimates of how much they pay after services rendered. Getting your items damaged or lost without any insurance is a bigger loss of money. We give you great value for your money and the peace of mind you deserve while your prized possessions are being transported. Why Choose Mint Movers in Miami Beach, FL? Unlike other full service moving companies, we want our customers to fully enjoy the convenience of our moving packing services in Miami Beach, FL that is most suitable for them. Local residents trust us in safely moving packages of any size and weight. We can help you pack anything, from something as simple as a piece of clothing to something as complex as a ceramic figurine. Call us today for more information. We offer some of the most affordable rates today, and we have expert packers and movers who can pack even the most fragile of your belongings. We provide flexible services that cater to preparing your items for moving or providing full moving services where your items get transferred to your new home without any effort on your part. For your peace of mind when moving to a new home, trust only Mint Movers. Avoid the stress of dealing with incompetent moving companies who only promise and not deliver. We will be very happy to discuss with you our packing services in Miami Beach, FL. You spend less and gain peace of mind knowing that your personal belongings will be in the best of hands. If you are ready to move to a new home, contact us today.